Home / News / nokia / Nokia 808 Pureview / Nokia Rich Recording / Nokia 808 PureView Video Sample : "Christina Perri Live in Jakarta"
Nokia 808 PureView Video Sample : "Christina Perri Live in Jakarta"
"Christina Perri Live in Jakarta"
Nokia 808 PureView comes with a Monster 41 Megapixels Sensor Camera together with Nokia Rich Recording Technology. 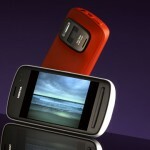 The Nokia 808 PureView is capable to record High definition video until 1080p. And here is The Video sample of Nokia 808 PureView at "Christina Perri" Concert live in Jakarta last week. Enjoy !! Nokia 808 has been tested by some websites and they compared nokia 808's photos with sgs3,iphone4s, nokia n8 and with a dslr and other camera. And 808 beat all other smartphone including nokia n8 and its photos are comparable with the DSLR. sony's 2MP is better? I suggest you better check your eyes to a doctor since i believe you have some problem with your eyes.